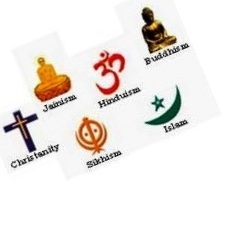 Yes religion in some way means as being divided into various castes. But a religion is not a religion if it destructs humanity. Even today, in many parts of the world wars take place in name of religion. Religion is misinterpreted by some people as license to kill. Would Allah like it if you use religion as a weapon for destruction? Would Christ permit using missiles for human killing? Would Ishwar forgive you on killing someone and then offering prayers in temples? No, none of these Gods will give you a thumps up for such a heinous act. If this is what you do in name of religion, then you’ve changed the definition of religion and made it a weapon, probably a lethal weapon. Then realized, it doesn’t matter, as the ultimate purpose was to unite mankind. Hinduism existed so that a group of hindus could have unity in them thereby helping them with achieving some common goals, viz helping each other succeed, being there for one another in terms of help, sickness and many more. And somewhere or the other all the religions in the world were made for mankind unity. Little did we know that this group-ism will invoke inter-group enmity? And how did this fight start? Simple, someone started it; other wanted to take revenge so fought back. This continued and this still continuing. Of course, you might be a hindu and have a set of dogma. Set of principles need to be followed by a Catholic. No one is spared by the dogma following. But, all these men need to remember, above Hinduism, above Christainity, above being a Muslim, above all is a religion, the RELIGION OF HUMANITY. When a newborn enters the world, he is given love, the human love. He responds to love and not religion. Religion is taught. It is inculcated in him. It is not wrong to inculcate religious beliefs in a child, but first he needs to be taught human values. Teach him ‘Son, you are a human First, and then Hindu or Muslim or Christen’. Before blindly following a religion, one must understand the reason behind its dogma. A human has all the right to live, all the right to choose. And if he chooses to embrace a different religion, he should be allowed to do so. For it’s his life. If a hindu wants to change his religion into Christanity, he should not be oppressed by his fellowmates. One should remember, RELIGION WAS MADE BY HUMANS, FOR HUMANS AND OF HUMANS. And if a person wishes to change his creed, he should be allowed positively, for if he not permitted the same he will be in religious clutches for the rest of his lifetime and loathe religion. Religion rather should be strong, strong enough to let people choose who they want to be. Take Football for example, fans are given the freedom to choose Manchester United or Arsenal or any other team as their religion(Yes everything is a religion, even sport). In this way, fans can choose who exactly they want to cheer. Similarly, humans would consider religion a boon if they are permitted to choose their religion, who they actually want to be. When a child is abandoned on birth, the orphanage people adopt him, make him home, and give love and care. Imagine if they would have thought ‘Oh no I cannot adopt this orphan, he isn’t of our religion’. Then a portion of world would not have existed. Religion is to love and let others love and live, religion is to love humanity UNCONDITIONALLY. Authored by : Pooja Prabhu.